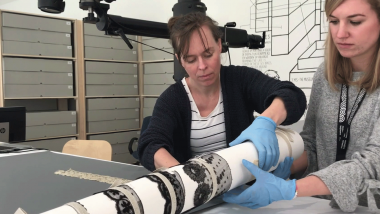 From 11 March to 11 June 2017 museum employees are publicly cataloguing and re-assessing the lace collection of Museum Boijmans Van Beuningen. 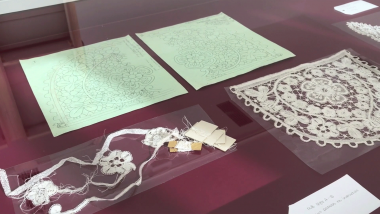 The re-assessment of the lace collection should give a better picture of the role that this aspect of the collection can play in the museum in the future. What makes the project unique, is that the process can be followed live in the museum. Making Space for Lace #7: Done! The reassessing of the lace collection in Boijmans is done. 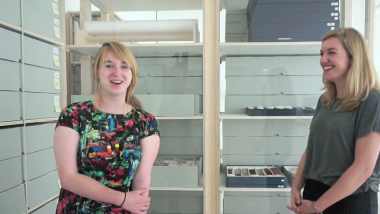 Lace Correspondent Lotte looks back on the project with the people involved. How did it go and how did visitors react? What did you think of the project? So, what are the results? The lace exhibition has been prolonged until 20 August, and will be slightly adjusted, so Lace Correspondent Lotte talks to Ben, foreman of the technical staff about that. Furthermore Mienke explains the next steps and the ‘LAMO procedure’. But how? 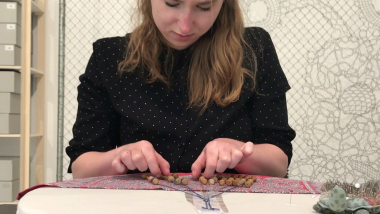 Lace Correspondent Lotte digs deeper into the techniques of lace - and even tries to make bobbin lace herself. Facing facts! 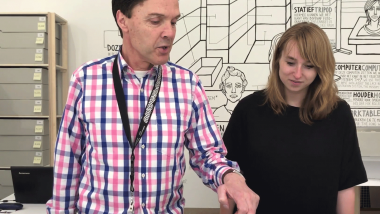 Lace Correspondent Lotte meets the holy grail of registration, gets the answer to last week's lace question, and has an extra surprise up her sleeve. Lace Correspondent Lotte goes underground! 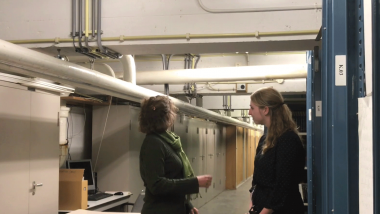 She explores the cellars of Boijmans to find out where the thousands of lace pieces used to be stored. Lace Correspondent Lotte investigates the how. Over 2600 pieces of lace in the database are checked and updated to modern-day standards. 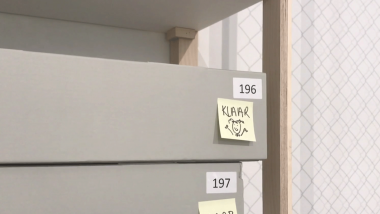 In the vlog of Making Space for Lace our correspondent Lotte will take you behind the scenes in Museum Boijmans Van Beuningen: in this episode, why? We are using cookies. Click here for more information.